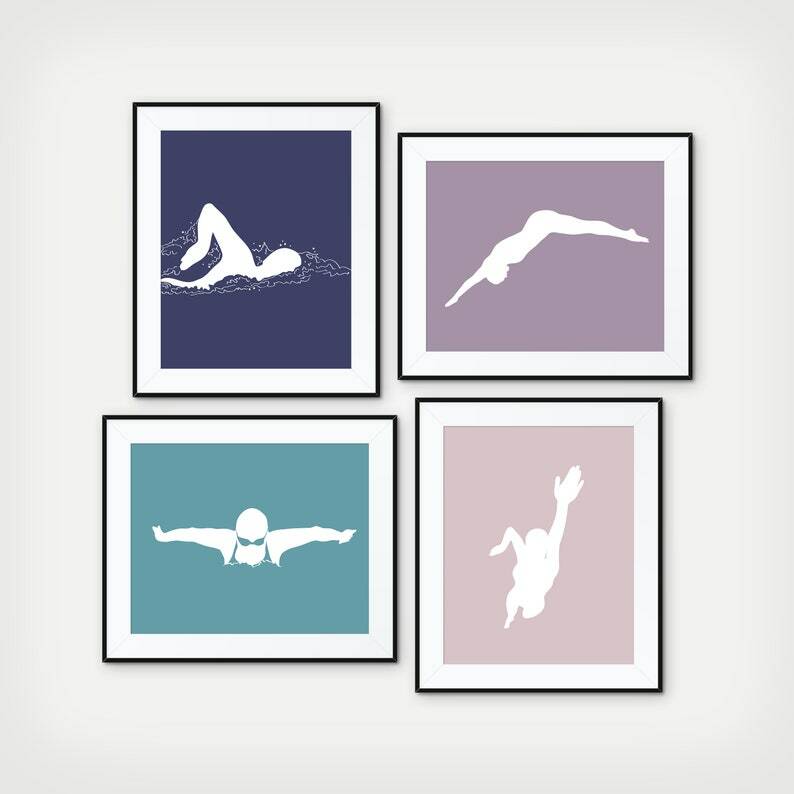 Girls swimming prints - Pick 1, 2, 3, 4, 5, or all 6 Prints. For your home, game room, child's room, anywhere! This print also makes a great gift! Love these!!! They came out darling in our daughters room!